Quick determination of compression strength of concrete and mortar cubes (100x100x100 mm) and bored cylinders up to dia. 70x100 mm. Can also be used for testing of rock samples. Control of the strength and uniformity of concrete (GOST 17624, Methodical recommendations MDS 62-2.01), brick (GOST 24332), building and composite materials in structures, bridges and hydraulic engineering constructions, determining of surface crack depth. 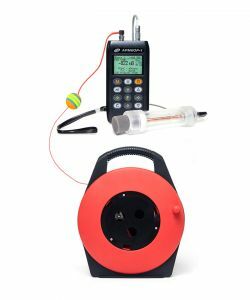 PULSAR-2.1 is suitable for measuring of time and velocity of ultrasonic waves in hard materials at surface and through sounding at different bases. 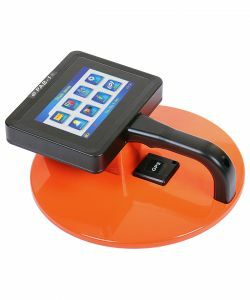 Based on an embedded tablet computer with sensor display, user-friendly interface, high-contrast IPS touch screen, the system provides full data processing with automatic pile length assessment and making test reports in construction site environments. High-resolution quality control of deep foundations using the cross-hole sonic testing method for ultrasonic wave to be sent from a transmitter to a receiver pulled through water filled access tubes embedded in the concrete. Checking of homogeneity, integrity and load-bearing capacity of a pile, providing information about the location of defects. Quick non-destructive testing of density, uniformity and degree of compaction of road pavements using no nuclear or striking elements. 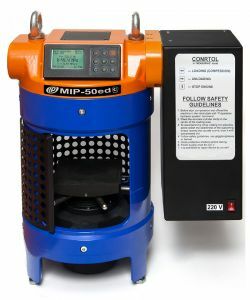 The tester allows spotting of non-compacted road areas, detecton of critical areas such as joints, edges, etc. and making the most effective road roller tracing in the process of asphalt laying. Determination of bearing capacity of underlying soils, ground road bases and base courses using dynamic plate load test. The most functional model of ultrasonic instruments PULSAR-2 with a fully digital section provides received signal visualization. 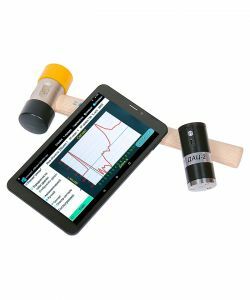 Allows to detect cracks, defects and voids that were occurred in the process of manufacturing and operation of constructions. PULSAR-2.2 is primarily intended for the Facilities Management Services. Ultrasonic pulse velocity test instrument (one-piece version) Control of the strength and uniformity of concrete (GOST 17624, Methodical recommendations MDS 62-2.01), brick (GOST 24332) and other building materials in structures, bridges and hydraulic engineering constructions, determining of surface crack depth. 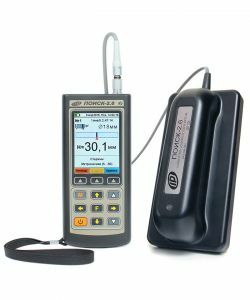 PULSAR-2M is suitable for measuring of time and velocity of ultrasonic waves in hard materials at surface sounding at a fixed base of 120 mm. 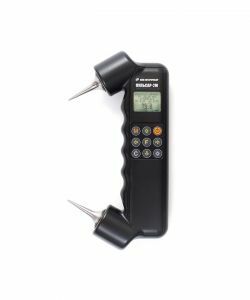 POISK-2.6 is advanced instrument which comes with the new generation electronic unit and universal probe that quickly and accurately determines the location of the reinforcing bars in the concrete using the pulse induction principle. 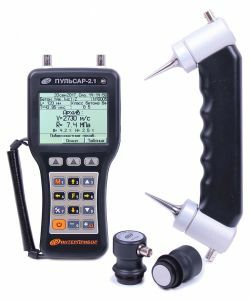 POISK-2.6 combines rebar detection, diameter estimation and the statistical analysis of concrete cover in one instrument essential during technological control and inspection of objects. Operative control of armature corrosion in concrete at the inspection of maintained buildings and constructions, detection of hazardous zones in the reinforced concrete.